Vinden jullie het ook zo lastig om het iedereen naar de zin te maken aan tafel? Wel of niet pittig, met of zonder saus en géén ‘dingetjes’. 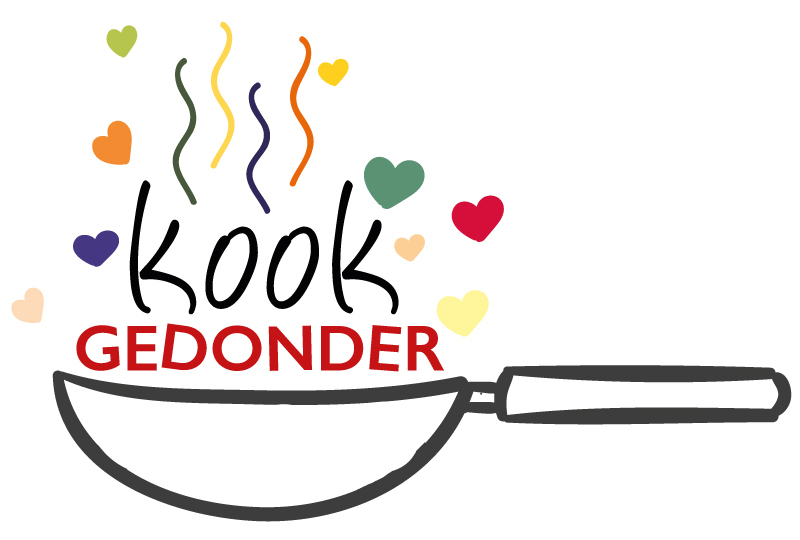 Daarom maak ik de saus vaak apart en serveer ik er voor de kids altijd komkommer en tomaatjes bij. Ik probeer de avondmaaltijd vooral gezellig te houden en dan lukt redelijk met verse pasta met tomatensaus vol gehaktballen. Leg 8 gesneden Roma-tomaten, 1 gesneden ui, een paar tenen knoflook en een doorgesneden puntpaprika op een bakplaat. Besprenkel met olie en oregano, of andere Italiaanse kruiden, en rooster 30 minuten op 200 graden in de oven. Daarna maak je er in de blender een gladde saus van, eventueel met een lepel crème fraîche en verse basilicum. Meng 300 gram gehakt met een rauw ei, een verkruimelde beschuit, zout, peper en nootmuskaat. Laat even staan en vorm er met natte handen ballen van. Braad de gehaktballen rondom aan en giet de tomatensaus erbij. Laat dit samen nog een minuut of 10 pruttelen op laag vuur. Schep de ballen regelmatig om. Wij combineerden de tomatensaus met verse pasta, een groene salade en kaas om te raspen. I am commenting to let you be aware of of the impressive encounter my wife’s girl found viewing your web page. She learned such a lot of issues, which included how it is like to possess an awesome helping mindset to get most people quite simply understand selected impossible subject matter. You undoubtedly exceeded people’s desires. Thanks for showing these good, dependable, revealing as well as fun guidance on your topic to Emily. I’m just writing to make you be aware of what a terrific discovery my friend’s child experienced viewing your web page. She picked up such a lot of issues, with the inclusion of what it’s like to have an incredible giving heart to let others really easily gain knowledge of chosen multifaceted matters. You really surpassed people’s expectations. I appreciate you for supplying such good, healthy, edifying as well as fun tips on this topic to Tanya. I want to express my thanks to you just for rescuing me from this type of incident. Just after surfing throughout the world-wide-web and coming across tips which are not pleasant, I assumed my life was well over. Living without the solutions to the difficulties you’ve resolved by means of the report is a crucial case, and ones which might have in a wrong way affected my entire career if I hadn’t come across your web page. Your main training and kindness in touching all areas was very helpful. I’m not sure what I would have done if I had not discovered such a thing like this. It’s possible to at this time look ahead to my future. Thanks so much for your high quality and effective help. I will not think twice to recommend your blog to anybody who needs and wants guidance on this situation. I’m also commenting to let you know of the outstanding encounter my friend’s princess experienced reading the blog. She learned such a lot of details, which include what it’s like to have a great coaching style to have the rest just know precisely selected tricky subject areas. You truly surpassed readers’ expected results. Many thanks for delivering the interesting, trustworthy, informative not to mention unique thoughts on your topic to Sandra. I have to show some appreciation to this writer for bailing me out of such a problem. Right after checking throughout the the web and meeting proposals which were not powerful, I assumed my life was gone. Existing without the presence of answers to the issues you’ve fixed as a result of your review is a crucial case, as well as the kind which might have in a wrong way damaged my career if I hadn’t encountered your web site. Your skills and kindness in handling all the pieces was precious. I am not sure what I would have done if I had not come upon such a stuff like this. I can also at this moment look forward to my future. Thanks for your time so much for this expert and sensible help. I won’t think twice to refer your web sites to anyone who ought to have guide about this area. I simply wanted to send a brief note so as to thank you for all the splendid concepts you are posting at this site. My particularly long internet research has at the end been paid with extremely good content to exchange with my family members. I ‘d admit that many of us website visitors are really lucky to exist in a useful place with very many marvellous individuals with helpful suggestions. I feel quite happy to have discovered your webpage and look forward to really more fabulous minutes reading here. Thanks again for everything. My spouse and i felt now more than happy when Edward could complete his research with the precious recommendations he was given from your very own site. It’s not at all simplistic to just continually be making a gift of steps some other people have been making money from. And now we see we have the writer to appreciate because of that. All the explanations you’ve made, the straightforward website navigation, the friendships you help foster – it’s got most spectacular, and it is assisting our son and our family understand this theme is interesting, which is certainly exceedingly serious. Thanks for all! I must show my respect for your kindness in support of individuals that have the need for help with in this niche. Your real dedication to passing the message around was unbelievably useful and have surely permitted some individuals much like me to achieve their ambitions. This important guidelines entails a whole lot a person like me and somewhat more to my office workers. Thanks a lot; from all of us. My wife and i got so fortunate when Jordan could do his research through the entire ideas he received using your web site. It’s not at all simplistic to just continually be making a gift of tips and hints which the rest may have been trying to sell. And we also do understand we have got you to thank for this. The explanations you made, the simple web site navigation, the relationships you can make it easier to create – it’s got many spectacular, and it’s really making our son in addition to us reckon that the concept is pleasurable, which is certainly especially important. Thanks for everything! Thank you a lot for providing individuals with remarkably memorable chance to check tips from this site. It’s always very superb and as well , packed with a lot of fun for me and my office peers to search the blog nearly three times a week to see the latest things you will have. And of course, I am also actually motivated considering the outstanding solutions you give. Selected 4 tips on this page are ultimately the finest we have ever had. I would like to show some appreciation to you just for rescuing me from this particular difficulty. Because of researching through the search engines and seeing notions that were not productive, I thought my entire life was done. Being alive minus the strategies to the problems you have sorted out by way of your report is a critical case, and those that could have in a negative way damaged my career if I had not encountered your site. Your primary natural talent and kindness in dealing with all the stuff was valuable. I’m not sure what I would have done if I hadn’t come upon such a thing like this. I’m able to at this time relish my future. Thank you very much for your skilled and result oriented guide. I won’t think twice to refer your site to anyone who needs counselling on this situation. I and my buddies have been checking the nice pointers located on your web site and so at once I had a horrible feeling I had not expressed respect to the web blog owner for those tips. My women ended up consequently thrilled to read through all of them and already have in reality been tapping into those things. I appreciate you for simply being well kind and for considering this sort of superior subject areas most people are really desirous to know about. My personal honest regret for not expressing gratitude to you sooner. I simply wanted to write down a brief word in order to thank you for these marvelous items you are showing at this site. My time intensive internet research has at the end been rewarded with incredibly good strategies to talk about with my colleagues. I ‘d tell you that most of us website visitors actually are definitely fortunate to be in a great network with very many brilliant professionals with interesting opinions. I feel quite happy to have seen your entire webpages and look forward to some more exciting minutes reading here. Thanks once again for everything. I actually wanted to post a remark so as to thank you for these awesome tactics you are writing at this site. My considerable internet research has at the end been honored with pleasant facts and techniques to go over with my family. I ‘d express that most of us visitors are extremely blessed to dwell in a good site with many special professionals with valuable principles. I feel very grateful to have discovered your entire webpage and look forward to so many more fun times reading here. Thank you once again for all the details. I needed to draft you that very small word in order to give many thanks again relating to the splendid solutions you’ve provided above. It’s quite surprisingly open-handed of you to grant unreservedly all that many of us could have sold for an electronic book to help with making some dough for themselves, notably since you could possibly have tried it in the event you considered necessary. Those smart ideas in addition served to become easy way to recognize that other individuals have a similar dream similar to my own to know a good deal more on the subject of this problem. I am sure there are many more pleasant moments in the future for folks who read carefully your blog post. I truly wanted to construct a note so as to express gratitude to you for these great advice you are posting here. My particularly long internet search has finally been paid with good quality details to go over with my good friends. I ‘d suppose that most of us website visitors are really endowed to dwell in a really good site with so many outstanding people with useful advice. I feel really fortunate to have seen the webpages and look forward to plenty of more fun moments reading here. Thanks once more for all the details. I happen to be writing to make you be aware of of the brilliant discovery my wife’s girl enjoyed reading yuor web blog. She picked up several issues, which included what it is like to have a marvelous teaching heart to make folks effortlessly thoroughly grasp specified problematic subject matter. You undoubtedly surpassed our expected results. Thank you for offering these warm and helpful, trustworthy, revealing and even fun tips on your topic to Gloria. I simply desired to thank you so much once more. I am not sure the things I would’ve undertaken without those secrets shown by you over this situation. It absolutely was an absolute scary dilemma in my view, but witnessing this well-written approach you processed the issue forced me to cry for fulfillment. I will be happier for this assistance and then expect you know what an amazing job that you are putting in educating other individuals thru your web page. Most likely you’ve never got to know all of us. I really wanted to send a quick comment in order to say thanks to you for some of the great tips and hints you are sharing here. My extensive internet lookup has now been honored with really good facts and techniques to share with my friends. I would assume that most of us website visitors are quite blessed to be in a fine community with so many awesome people with helpful tricks. I feel very privileged to have seen your entire webpages and look forward to so many more thrilling moments reading here. Thank you again for a lot of things. I happen to be writing to let you know what a terrific experience my child had checking your site. She came to understand too many pieces, not to mention how it is like to possess a very effective helping character to get other folks completely fully understand a number of multifaceted subject areas. You truly surpassed our expectations. I appreciate you for producing these invaluable, trustworthy, revealing and unique guidance on the topic to Kate. Thanks for your whole work on this web site. Kate takes pleasure in participating in research and it’s simple to grasp why. We all notice all about the powerful form you give good strategies through this web blog and in addition welcome response from some other people on this theme while my daughter is now becoming educated a great deal. Take pleasure in the rest of the new year. Your carrying out a splendid job. I and my friends came reading through the best recommendations found on the blog then at once developed a terrible suspicion I never thanked the web blog owner for those tips. All the young men are actually totally passionate to read them and have simply been enjoying those things. Thanks for truly being so thoughtful and also for finding this kind of helpful things millions of individuals are really desirous to be informed on. Our own sincere apologies for not expressing appreciation to earlier. Thanks so much for giving everyone a very spectacular chance to read critical reviews from this site. It is often very enjoyable and full of fun for me and my office mates to search the blog no less than thrice weekly to see the fresh tips you will have. Not to mention, I’m just actually astounded with the very good tricks you serve. Certain 4 areas on this page are particularly the most impressive we have ever had. I not to mention my pals have been reading the great information found on your website and then before long I had an awful feeling I had not thanked the web site owner for those strategies. The boys are actually absolutely warmed to read all of them and have now very much been loving those things. Many thanks for getting simply helpful and for going for some fabulous subject matter most people are really needing to be informed on. Our own honest apologies for not saying thanks to earlier. I happen to be commenting to make you be aware of what a outstanding encounter my wife’s daughter experienced reading your site. She realized so many pieces, including what it’s like to have a wonderful coaching character to let other folks easily thoroughly grasp various advanced matters. You actually did more than visitors’ expected results. Many thanks for coming up with these priceless, safe, explanatory and in addition fun tips about this topic to Julie. I definitely wanted to type a small word to be able to appreciate you for those precious recommendations you are posting here. My extended internet lookup has at the end of the day been compensated with incredibly good tips to talk about with my visitors. I would say that many of us readers are unquestionably endowed to dwell in a magnificent website with many outstanding individuals with insightful guidelines. I feel very blessed to have seen your website and look forward to really more fun moments reading here. Thanks once more for all the details.